Thing 1: Writing all these planning things down when I already know what I need to do, does it make me a procrastinator? Thing 2: do it anyway, it’s a nice way to empty your head. 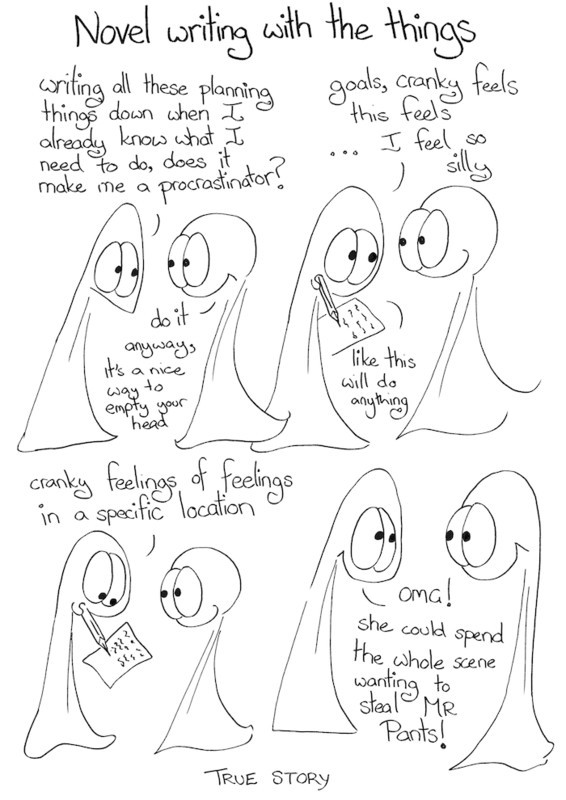 Thing 1: goals cranky feels, this feels… I feel so silly. Thing 1: like this will do anything. Thing 1: cranky feelings of feelings in a specific location. Thing 1: OMG! she could spend the whole scene wanting to steal Mr Pants!